The Hungarian press has already reported about the lavish lifestyle of Hungary’s top business and political leaders. Válasz has now investigated that the luxury yachts and aircrafts used by the circle of Lőrinc Mészáros (prime minister Viktor Orbán’s close friend and – through that – one of the wealthiest Hungarians) is provided by PKF, an international tax consulting company. We have also uncovered that PKF’s partner for international business aviation happens to be Andreas Staribacher, Austria’s one-time finance minister who nowadays is an expert of serving the oligarchs of some Eastern dictatorships. We now prove that Hungary has become one of those. Who could forget the Hungarian governing party, Fidesz, when it was in opposition before 2010? They have been bashing Hungary’s then government on a daily basis – by labeling them luxury leftists and offshore knights – by quoting their skills in tax fraud. Viktor Orbán and his party has been called populist for this however, de facto, they were right. Moreover, these arguments are also parts of Western campaigns because it is quite legitimate to ask for more transparency. Countries like Cyprus, Malta, Belize or Seychelles became familiar to the Hungarian public. Just recetly, the Hungarian investigative watchdog Átlátszó has recorded that privileged members of Mr. Orbán’s regime tend to forget the pre-2010 Fidesz’s values. They fly and sail across the globe under foreign nationality mark to have their trips dissembled which made Válasz curious who are those “global stakeholders“ who provide yachts and aircrafts to Mr. Mészáros and his circle. By the end of our investigation we have found ourselves in the orbit of a former Austrian finance minister who has been previously faced with the charges of assisting president Nursultan Nazarbayev to bring back his political opponents to Kazakh soil. What we have found out is that Andreas Staribacher – who was a minister in chancellor Franz Vranitzky’s cabinet – also works for Russian, Ukrainian and Serbian oligarchs apart from his newborn Kazakh and Hungarian friends which basically makes him the “aviator of trustees“ in the former Eastern Bloc. Before our findings, let us enumerate the facts that have been already published in the Hungarian press. 1. The first yacht. It was the Hungarian weekly Magyar Narancs that first published a photograph depicting Mr. Mészáros taking a nap aboard the Artemy luxury yacht in Croatia. An important note is that the official owner of this ship was the Maltese L&L Charter Ltd., a company founded by another Maltese firm, the PKF Fiduciaries International Ltd. PKF, a tax consulting company, is run by the Mangion family in Malta and advertises its skills of assembling favourable yacht-purchasing packages for its clients. 2. The second yacht. After Artemy went for sale last autumn, this summer Mr. Mészáros was captured by a reader a Mérce news site in the Italian port of Ischia aboard the Lady Mrd luxury yacht. Átlátszó has published various photographs depicting members of the “Felcsút Lobby“ (Mr. Orbán’s home village) being hosted aboard that very ship. László Szíjj, the CEO of the Hungarian government‘s favourite road-constructing company, Duna Aszfalt, and the CEO of the Hungarian State Railways (MÁV), Róbert Homolya was among them. Surprisingly enough, the owner of Lady Mrd was also the Maltese L&L Charter Ltd. (read: PKF Fiduciaries International Ltd.; even more precisely the Mangion family). 3. The first aircraft. This January, then opposition Hungarian cable news channel Hír TV and Zoom news site reported that Mr. Mészáros and his circle is the regular user of a 2006 Bombardier aircraft, registered under the Austrian nationality mark OE-IKZ. An official mark proves that – between 2016 and June 2018 – it was owned by the Vienna-headquartered Cursus Aviation GmbH while its operator was another Austrian company, the International Jet Management GmbH – the details we need are around this company. Cursus Aviation is in close connection with Mr. Mészáros, as its owner is Themis Private Equity Fund, run – through Minerva JSC – by János Jaksa who is the chairman of board at the Felcsút billionaire’s MKB Bank. 4. The second aircraft. After Cursus sold OE-IKZ aircraft in June 2018, it was reported in August that Mr. Orbán flew to watch Mol Vidi football team’s match in Bulgaria, boarding a 2017 Bombardier business jet. According to Átlátszó, this jet is generally used by Mr. Mészáros and his circle – for instance the plane was used to carry major business and political stakeholders (including the prime minister) to London where Mol Vidi has played against Chelsea. Since then the plane flew to Zürich, Moscow and Prague and when the convicted former Macedonian prime minister Nikola Gruevski was fleeing to Hungary, radars have recorded a trip to Belgrade as well. No open-source information could be found about the official owner of this luxury item, flying under the registry code of OE-LEM, but it is certain that the operator is the same International Jet Management GmbH. But who is the big fish benefiting from International Jet Management GmbH? According to the Austrian registries, a multilayer ownership structure was built around the company. International Jet Management GmbH is owned by IJM Holding GmbH, a company from Schwechat (outside Vienna), which is owned by TreuTrust GmbH the seat of which is in Vienna’s Hegelgasse 8. The main profile of TreuTrust is trust property management and it is owned by PKF Centurion Wirtschaftsprüfungsgesellschaft mbH. This is a firm that has tax consulting and audit in its portfolio and 90 per cent of its shares belong to Andreas Staribacher. It means that at the end of the day the former finance minister takes the responsibility for Mr. Mészáros‘ aerial adventures. Mr. Staribacher is not a rookie in business aviation. 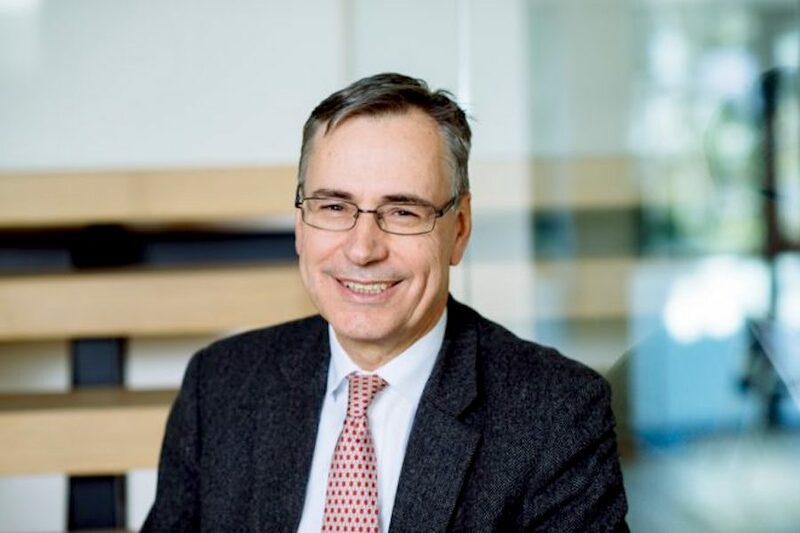 After his term as minister, he became vice-chairman of the supervisory board of Flughafen Wien AG, a JSC that oversees the Vienna international airport. Working also as a lawyer and a finance expert, he was constantly around aviation. PKF Centurion, the company he controls, is also an expert in this area, offering private-jet-purchasing-and-operating packages to its clients. Both PKF Centurion and the Maltese Mangions‘ PKF Fiduciaries International Ltd. belong to the global tax consulting network of PKF. As we have already indicated, PKF Centurion was already mentioned in the Austrian press as Avcon, a company it supervises, has offered aircrafts for the Kazakh regime to hunt down its political opposition. Earlier, Mr. Staribacher also appeared in the Vienna newspapers after starting a joint airline catering venture with the Austrian–Turkish businessman, Attila Doğudan. 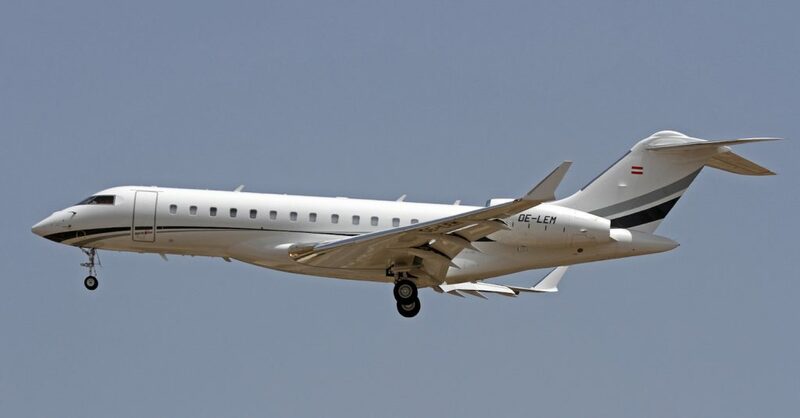 A more important question is that who belongs to the clients of International Jet Management GmbH – the ownership of which was just unraveled above –, especially that Mr. Staribacher’s belonging operates an entire fleet in which the “Felcsút Bombardier“ is just one of the newest aircrafts. according to our research the significant part of International Jet Management Austrian-registered fleet is stationed at Russian or Ukrainian bases. Another example of Mr. Staribacher’s Eastern embeddedness is that the aircraft flying under the registration number of OE-INL and operated by International Jet Management is, according to sources, attached to a Forbes-listed Russian oligarch, the steel tycoon Vladimir Lisin. The jet was captured in Glasgow and Edinburgh, the closest airports to his Aberuchill Castle in Scotland. According to our research in the Austrian company register, Mr. Staribacher also helps the business (in this company) of the Serbian head of the United World Wrestling, Nenad Lalović as well as (in this firm) the Bucharest tycoon Iulian Voevod who was a top official in the companies of Ion Tiriac, the wealthiest Romanian. Mr. Staribacher has other Hungarian links too. He was one of the investors of Haszon, an economy paper first published in 2003. One of his partners was the former ORF reporter, the Hungarian descent Karl Stipsicz. Moreover, the Budapest-based publisher’s parent company is still based in Hegelgasse 8, Mr. Staribacher’s seat in Vienna. To be more precise, the Staribacher–Stipsicz club got rid of Haszon after the Hungarian election in April, forwarding the publishing company to Hamu és Gyémánt Ltd., a company owned by Csaba Csetényi and Tibor Krskó. They were parts of the government circles until the recent past. 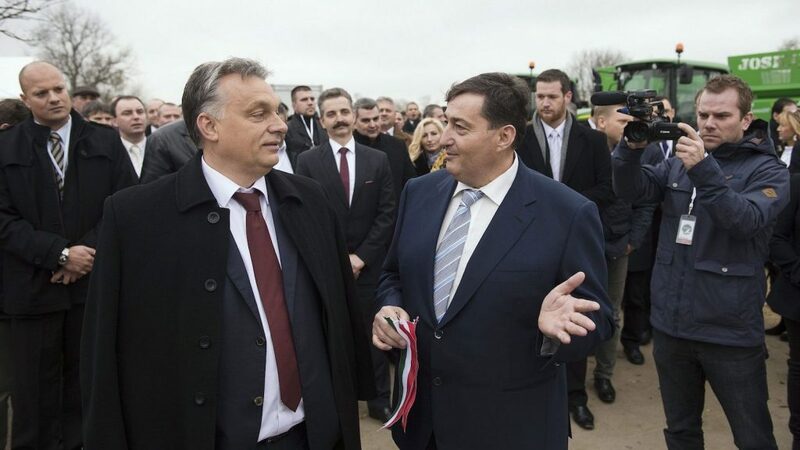 It means that Mr. Staribacher’s sole Hungarian reference is his connection with Mr. Mészáros who, as we have proven, has entered the exclusive club of Eastern oligarchs through him.